eBay – A name that has revolutionized online shopping. A customer base of staggering 164 million users with a presence across 100 countries, eBay today has become a household name amongst online shoppers. eBay is not just an online store rather it’s a marketplace where buyers and sellers come together to both buy and sell products. Hey! Wait a second…Does that the mean I can sell my old DVDs that I no longer use? You can sell your DVDs, PlayStation or practically any item for a competitive price. Buyers can buy both new and used items on eBay which means that almost anybody can become an entrepreneur today thanks to eBay! All you need to do simply open a seller account, upload your product images, write a description and that’s it you are ready for your first sale! Really….is it really that simple??!! Well….not quite. It is not just enough to upload your product on eBay. The key here is how you make your product searchable amongst thousands of products already there. I searched for Women’s Fur Coat Large size on eBay and was presented with 12 results! 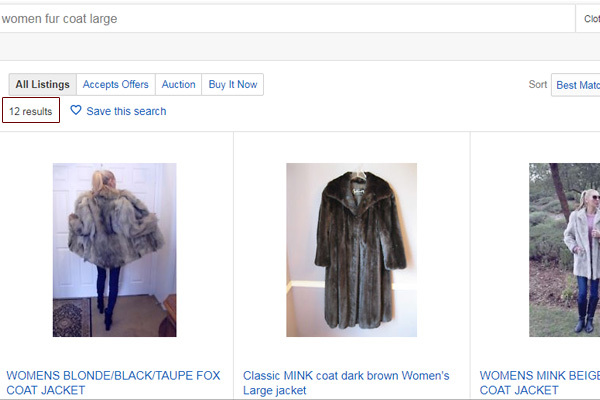 What it is means that if I am planning to sell a Women’s Fur Coat, I’d essentially be competing against 12 sellers. Good luck with that! 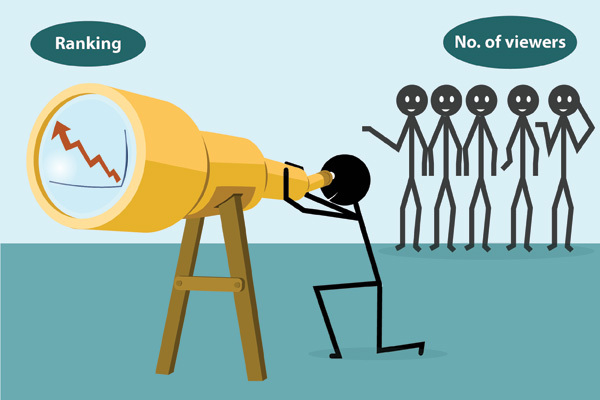 You want your listings to appear that the top of the search results so as to get maximum visibility and in turn sales. The idea is to rank high enough so your listings get viewed by buyers looking for those products. The key lies in understanding how shoppers search for products they want to buy on eBay’s search engine Cassini. Sounds similar to Google’s SEO? It is, just that eBay has its own search engine called Cassini that uses its own ranking factors and its own algorithm. Let’s understand some of parameters that eBay uses to rank listings. Competitive Pricing and Shipping We can go on and on about what makes a product sell but we can’t ignore the fact it is the price of the product that moves the customer to the final stage. Also it is important that your eBay product listing has a competitive price including shipping costs. Understand that any online customer will only buy after thoroughly checking out the prices from other sellers and also other sites. For instance, if he finds a similar Fur Coat in large size at a cheaper price on Amazon, obviously he would buy it from there.Also shipping costs add to the final price of the product. For instance your product may be reasonably priced but your shipping and postage costs are way too high. That would again turn the customers away. 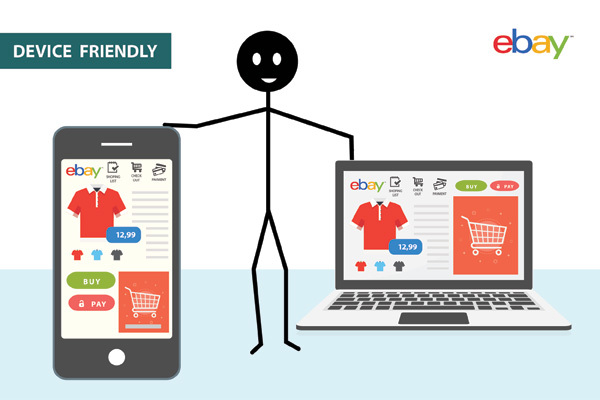 eBay loves listing with ‘Free Shipping’ but don’t worry if it’s not feasible for you just yet! Correct Categories – Listing in the correct category is very important as it helps you add relevant item details that might help the buyer find your product. Listing in the wrong category can limit your chances of being found in international searches. Accurate Titles – eBay currently allows a limit of 80 characters for your titles. Make your title as relevant as possible to the users search term. Be as descriptive as possible yet stay within the character limit in order for the title to be visible completely.Avoid any irrelevant words and phrases like Best shoes, Best Coat for Winters etc. Instead be straightforward and direct. For instance “Tan Leather Oxford Shoes”. Your title should convey what the product is. 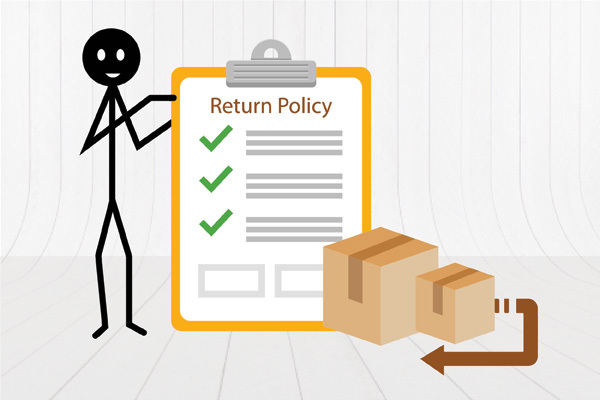 A lot of us don’t know but eBay favors listings that have an easy and transparent return policy.Make sure your return process is clearly mentioned in your listing either as a part of your description or separately. After all, eBay wants to give its buyers the shopping experience.A 30-day return policy is by default applicable to all eBay items but it would be best if you can work out more than 30 days. High Quality Images – Avoid tags like free shipping, 20% off etc within the image. Images should be clear and crisp and should convey the proper color of the product.Brown should not like black just because the photo has been clicked without proper lighting! You can also use our product image retouching services. Of course this goes without saying. eBay currently allows you 12 images. Make full utilization of it. Include clear pictures of products taken from every angle. Make sure the background is white with no text etc. Of course this does not apply to you if you are newbie on eBay but it’s worth your while to know that eBay asks customers for feedback every time they complete a purchase.This feedback is important for sellers. Higher the number of positive feedbacks, the better will be your rankings.Now while you are aware of the ranking factors that eBay’s search engine Cassini uses to rank products, it is equally important to understand how buyers search for products on eBay and the entire process of finding the products so as to maximize views, traffic and ultimately sales! Given below are some guidelines that sellers must keep in mind while listing their product on eBay. These are possible search terms that buyer will use to search for Men’s Black Leather Shoes. Now eBay would obviously choose products whose title and description closely match the above keywords. It is essential to identify the right keywords for your products and use them in your listing. There are ways to search for keywords like Google search engine suggestions, tools like Google Keyword Planner, eBay search bar etc. Don’t stuff keywords but make sure to use them in the title and description so Cassini can match it with user’s search term and rank your product listing on eBay accordingly. 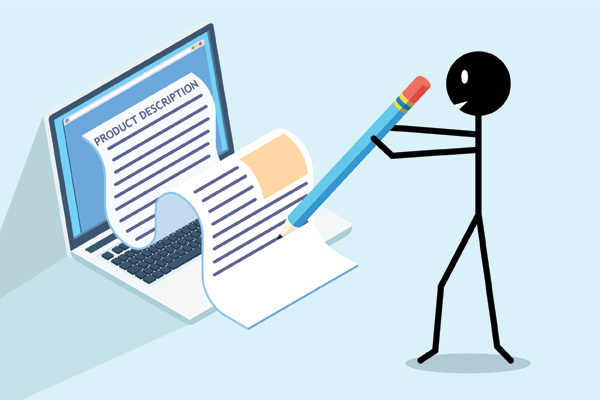 Write a Good Product Description A product description is not just about explaining the features of the product rather make it such that it talks about how the product would benefit the user. Simply talking about product will make it sound boring and that’s not something you want. Understand this – the main purpose of the product description is to hook the reader’s attention by answering all potential questions that users might have regarding the product in question. Of course don’t forget to use the keywords too. Do Mention Return Policy – Even though eBay has a default 30-day return policy and money back guarantee but it’s important to mention it anyway in your listing. eBay wants to keep everything transparent for shoppers and therefore rewards listings that follow it. Item Specifics – These are mostly additional details about your product like color, weight, dimension, county of manufacture, material, warrantee if any etc. Of course some of these details may already have been covered in the description and might sound repetitive but fill it anyway. eBay wants all the fields in the listing duly filled as to ensure that customer is getting all the information that he would probably need. Pay special attention to the images – Include as many images as you possibly can and make sure they showcase the product from different angles. Photos should be against a clear white background with no text like logo etc. Pay special attention to the dimensions etc. Keep Adding New Products – Adding new listings regularly signals to the search engine that you are an active seller and therefore helps improve the ranking of your old listings. Also new listings appear separately as “new listings” for improved visibility. Recent Sales – The number of items sold recently also affect your rankings. A good recent sales history from the list builds popularity and boosts your position. On the other hand, if the listing has had poor sales performance in the past compared to other similar listings, it will appear lower down in the search results. of Views v/s Sales I’ll let you in on a little secret here. eBay considers relation between number of times a listing has been viewed and sales generated. Gone are the days when you could increase the views and get a boost in rankings.Let’s just suppose Seller A has got 500 views with 2 sales and on the other hand Seller B has 1500 views but with no sales. eBay would consider Seller A better and would give preference to A over Seller B. 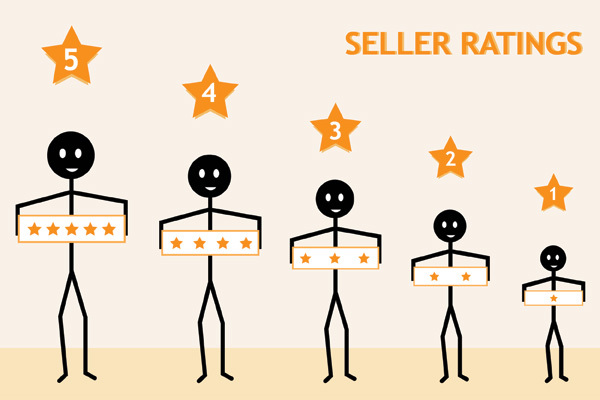 Seller Ratings – Although this one is not completely in your own hands, you can still work to ensure that you get positive ratings every time you complete a sale. Every time a buyer completes a purchase he asked to submit feedback.Make sure that you give your buyers the best of shopping experience so they will be encouraged to give you a positive feedback every time. Be prompt with responses to queries and complaints, ensure timely delivery etc. This will also help your rankings climb up over time. This one is a no brainer. People these days are always on the move. Most people read, do transactions or buy online through their mobiles rather than from their desktops or laptops.Therefore it always makes sense to ensure that your listings appear properly on all devices especially mobiles and tablets. This simply adds to the customer experience and has chances of increasing your views. Choose Your Geography Wisely – If you are planning to sell through eBay, you first need to identify the areas you would be shipping to. Do you want to target a particular geography only or do you plan to ship globally. These questions are essential in determining your postage. Buyers and eBay love ‘ free shipping’.Of course that may not always be possible and we are not asking you to take a hit on your profits but depending on the item and the destination, you could consider offering free shipping. 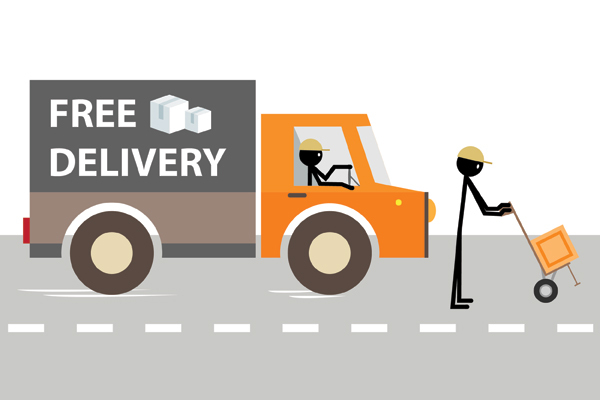 You may offer free shipment to nearby areas or free shipment only on certain products.Whichever way you choose, it is best to mention it clearly in the listing. For instance you are selling a hand crafted wall piece and you choose to offer free shipping within Wales in the U.K. Simply mention ‘Free Shipping within Wales’ and you can be visible to all buyers who are looking for free shipment. Over the years eBay’s search engine has evolved to focus on customer experience, relevance and value for money. Therefore it’s important to use these techniques in your listings so as to give it the much-needed boost. Maximizing eBay product listing is a lot of work but with reliable e-commerce service providers in the market like Ace eComm you can just relax and watch your eBay sales skyrocket.